Below you fill find all funeral homes and cemeteries in or near Stafford. Suburbs of Stafford: Meadows Place. Their current mayor is Mayor Wen Guerra. Zip codes in the city: 77477, 77497. Some of the notable people born here have been: Craig Robertson (american football player). 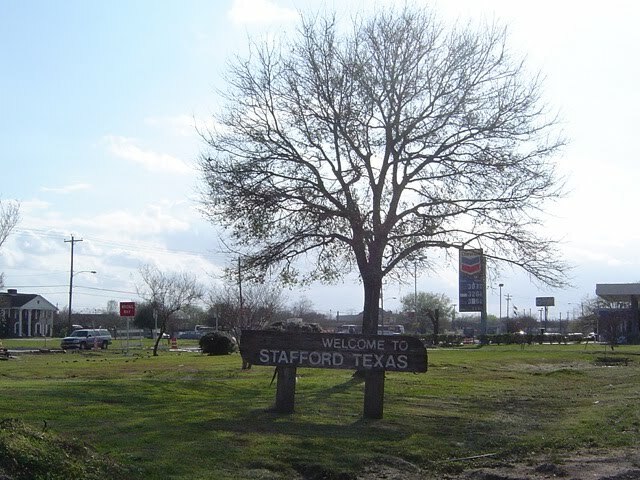 Stafford is a small city in the U.S. state of Texas, within Houston–The Woodlands–Sugar Land metropolitan area. 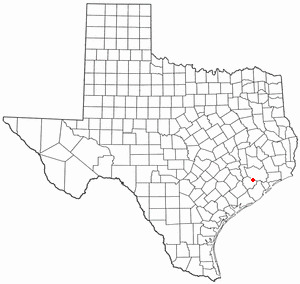 The city is mostly in Fort Bend County, with a small portion in Harris County. As of the 2010 census, Stafford's population was 17,693. It was noted by Graham Leader on March 31st, 2015 that John Nolen Hatler passed on in Stafford, Texas. Hatler was 98 years old and was born in Gallatin, TN. Send flowers to express your sorrow and honor John Nolen's life. It was disclosed on June 29th, 2014 that Joshua David Crews perished in Stafford, Texas. Crews was 58 years old. Send flowers to share your condolences and honor Joshua David's life. It was revealed on April 16th, 2014 that Kimberly Anderson (Osgood) perished in Stafford, Texas. Ms. Anderson was 50 years old and was born in Peoria, IL. Send flowers to express your sympathy and honor Kimberly's life. It was reported on January 19th, 2014 that Boyse L Johnson passed on in Stafford, Texas. Johnson was 89 years old and was born in Des Moines, IA. Send flowers to share your condolences and honor Boyse L's life. It was written on April 26th, 2013 that Richard Emil Sr Skog perished in Stafford, Texas. Skog was 78 years old. Send flowers to share your condolences and honor Richard Emil Sr's life. It was reported on February 29th, 2012 that Justin Dean Springer perished in Stafford, Texas. Springer was 25 years old. Send flowers to share your condolences and honor Justin Dean's life.
. A settlement called Stafford Point established itself around the plantation; it became a townsite in August 1853 when the Buffalo Bayou, Brazos and Colorado Railway began stopping at Stafford Point. As of the 2000 US Census, the city population was 15,681. William Stafford established a plantation with a cane mill and a horse-powered cotton gin in 1830. Stafford rebuilt his plantation and resided there until his 1840 death. Staffordville had a post office from January 5, 1869 to February 26, 1869. The official website for the city of Stafford is http://www.cityofstafford.com/eZmWi/gZOSY/. Listing all funeral homes in Stafford, Texas so you can easily send flowers to any location (same day delivery) or find any funeral service. Funerals in Stafford, TX on Yahoo! Local Get Ratings & Reviews on Funerals with Photos, Maps, Driving Directions and more. Earthman Southwest Funeral Home, Stafford, TX : Reviews and maps - Yahoo! Local, 281.240.3300. Get Ratings, Reviews, Photos and more on Yahoo! Local. We work with local florists and flower shops to offer same day delivery. You will find budget sympathy flowers in Stafford here. Our funeral flowers are cheap in price but not in value.